Asia’s football chief and FIFA’s second-in-command Sheikh Salman bin Ebrahim al Khalifa received a fresh, four-year term on Saturday, triggering complaints from campaigners who said regional soccer was in “crisis” over human rights. The Bahraini royal, who was standing unopposed for the second straight occasion, was elected in his absence at the Asian Football Confederation Congress in Kuala Lumpur, which he skipped following the death of his mother on Wednesday. 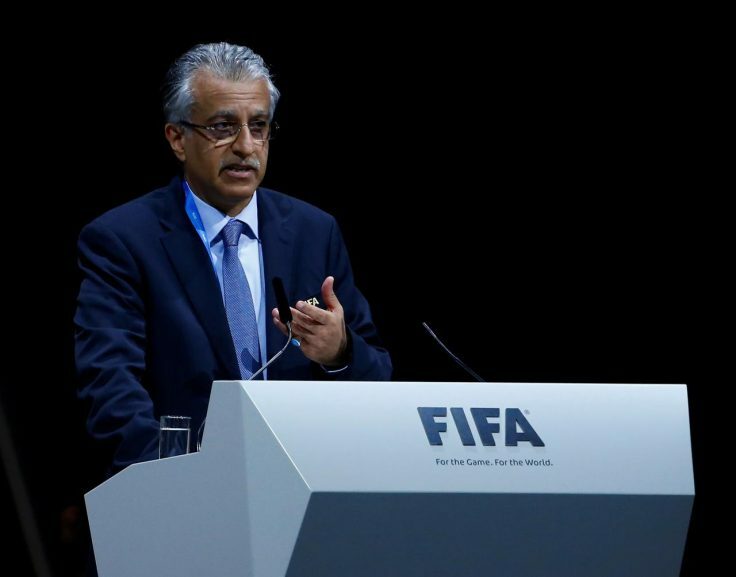 However, FIFA president Gianni Infantino said Asia was showing unity and “stability” by re-electing Sheikh Salman, who sent a statement expressing his “heartfelt apologies” for his absence. The Bahraini pointed to a record commercial deal struck last year and said it would not have been possible without good governance and reforms to AFC competitions. Lurid allegations have dogged the Bahraini since he was first elected in 2013, replacing Qatari businessman Mohamed bin Hammam who was banned from football for life over corruption. This year, Sheikh Salman was heavily criticised for not publicly weighing in on Arabi’s behalf. The AFC said he stayed out of the matter to avoid accusations of a conflict of interest. Sheikh Salman was also re-elected unopposed in 2015, but he looked set to face a challenge this time around when Qatar’s Saoud al-Mohannadi and Mohammed Khalfan Al-Romaithi of UAE announced their candidacies. However, Romaithi abruptly cancelled a lobbying tour and withdrew in late March – about two weeks after launching his campaign – and Mohannadi followed suit last week. The post Asia’s football chief receives another term appeared first on SABC News – Breaking news, special reports, world, business, sport coverage of all South African current events. Africa's news leader..